In the ever popular Art Deco of the 1920’s style, this writing table desk is crafted in stunning Birdseye Maple. 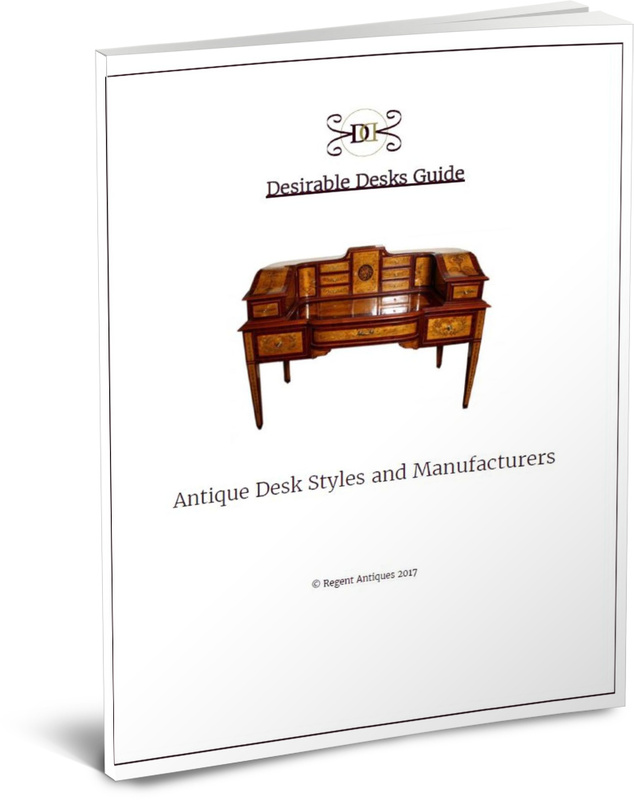 Antique furniture made out of Birdseye Maple is rare and coveted for its beauty. 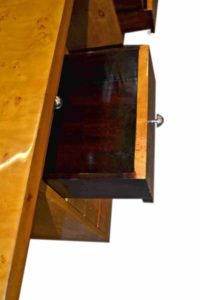 When all furniture was essentially handmade, you had to be an extremely capable cabinetmaker to be able to work in Birdseye Maple successfully, as it required extraordinary skill and specialist tools. 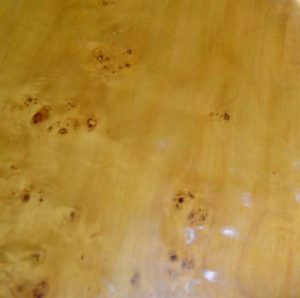 This is because it has a divergent grain which is easily damaged and even the slowest of early woodworking machines could produce surfaces that were torn and chipped. It took many hours of detailed hand planing and scraping to buff these surfaces to the highest sheen. Because of this, labour costs were high, so Birdeye Maple was reserved for the best and most refined pieces. 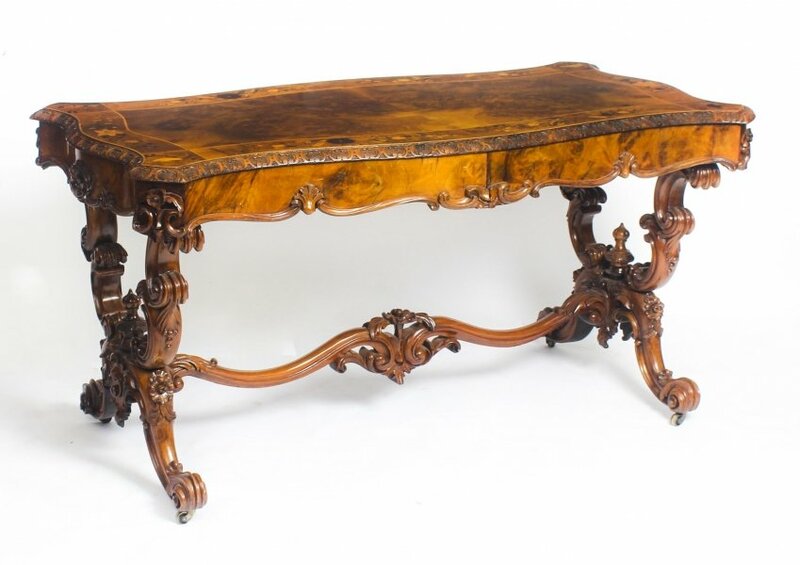 This fine writing table desk has been made in three pieces and the grain of the wood is truly superb as can be seen from the picture above. The finish is superb and reflects the light almost like a mirror! 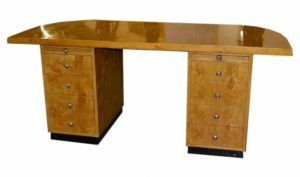 This beautifully Art Deco styled writing table desk features four drawers on each side with a slide out surface above each set of drawers. These are particularly useful when you are working and need the additional space to put things such as coffee cups without worrying about damaging the surface of the desk. 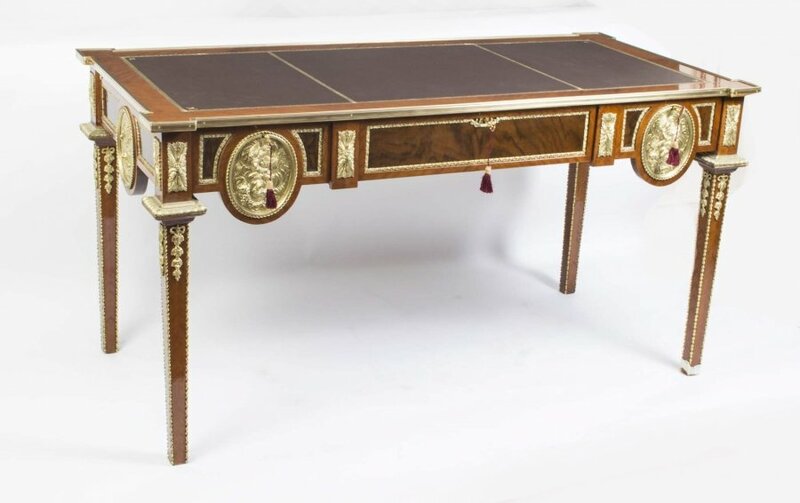 As a piece of furniture, this Art Deco desk is also extremely versatile and could equally well be used as a dressing table adding a touch of Art Deco glamour to any bedroom. In excellent condition, please see photos to confirm this for yourself. 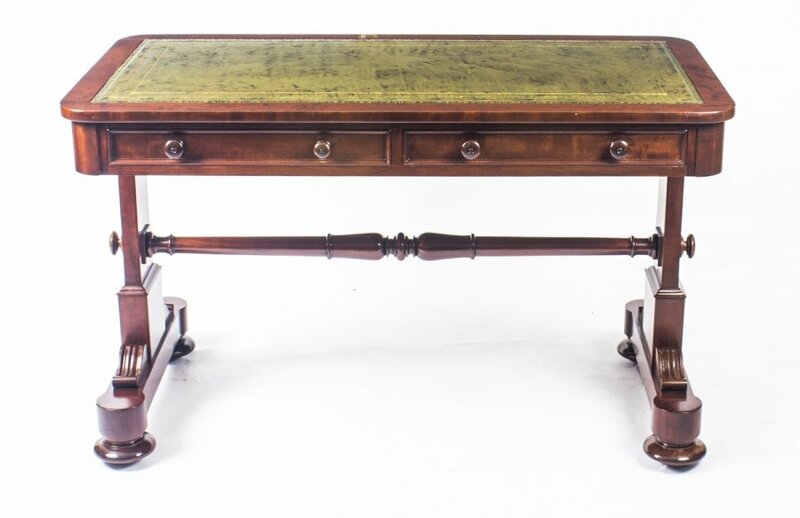 If you would like to view this item you are very welcome to arrange an appointment to come and see it in our North London warehouse, where you will also find a fantastic range of other desirable desks. Just email or call for an appointment on 020 8809 9605. Feel free to call to discuss this item with one of our experts quoting reference number 04074. We can ship to anywhere worldwide and will take care of the packing to ensure that it arrives in pristine conditions. Please call for a shipping quotation before purchasing this item. Shipping to UK mainland destinations is free of charge.